Seals of quality and trust - Agrosol Export S.L. Quality is the ultimate goal at Agrosol Export, which we have delivered in the UK, one of the world’s most demanding agri-food markets, for more than twenty years. We comply with the highest standards of quality, not just for our British consumers, but also for the shops that sell our products. Tesco, Marks & Spencer and Sainsbury’s are just some of the brands that sell our fruit and vegetables. Some of these brands have their own accreditations and quality seals, which we adhere to across all production levels. CAAE [Andalusian Committee for Organic Agriculture] – Organic products: This is the first Spanish entity to fully recognise organic production, including organic aquaculture, algae and molluscs, and it forms part of the EOCC (European Organic Certifiers Council) directive board. Their aim is to increase the credibility of regulatory and certification procedures, as well as decisions relating to European legislation on the production and labelling of organic products. SEDEX: This is one of the most widely used organisations to guarantee responsible sourcing and transparency of supply chains. In Spain there are more and more companies that belong to SEDEX and that are undergoing SMETA audits [SEDEX members ethical trade audit] with the aim of assuring both their clients and suppliers that they are complying with labour standards, health standards and occupational safety standards, as well as acknowledging environmental factors and ethical trade practices. 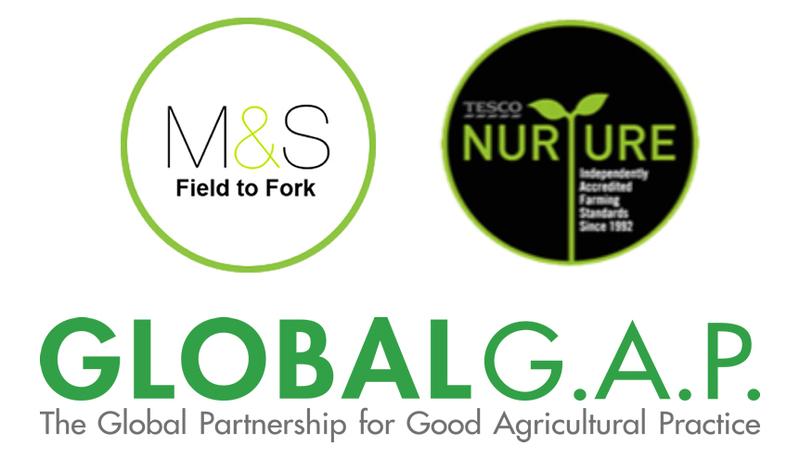 Global Gap: Is one of the most internationally recognised certifications, possessing great prestige in the agricultural sector. This standard especially focused on fruits and vegetables, analyzes and certifies all the stages involved in the implementation and production of all types of extensive and intensive crops: soil management, application of phytosanitary, collection and handling process of fruit, packaging and storage.